Stourbridge and the rest of the UK, providing both domestic and commercial customers a highly efficient and professional relocations solution. 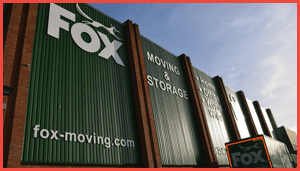 Whether you are a domestic home owner relocating to Stourbridge or a corporate business looking to move premises, Fox Moving & Storage is the removal company of choice for you. With years of experience, our company has obtained ISO and BS certification, giving you peace of mind that we take our customer service seriously. We are also approved by the British Association of Removers (BAR) and follow their vigorous code of practice. Fox Moving & Storage is unlike other removal companies in Stourbridge; our service is not only professional and trustworthy, we also offer a truly bespoke package. Indeed, before the move and initial planning take place, you’ll first receive a visit from your very own personal move coordinator, who will assess your premises and belongings and ascertain the most efficient way to carry out your move. This will entail planning the initial move, all the way from the packing to even the unloading at your new home or business premises. What our customers effectively receive, then, is a personal assistant who will remove the burden and stress of moving by taking on the responsibility themselves. Fox Moving & Storage is dedicated to providing our domestic clients with the perfect home moving solution – one in which we take charge of the process every step along the way, drawing upon our forty-years’ experience in the removals industry. Our dedicated team of removal agents understand the importance of keeping your items safe and delivered intact, and will be more than happy to discuss and cater for any special requirements, from handling fragile, antiquated items of considerable value, to advising on insuring such items for their transit. It is not always viable to arrange the removal of furniture to a new home once you have moved out of your old property. Perhaps there are delays in the exchange of contracts during a home purchase, or maybe there is simply a need to stay in temporary accommodation between moves. 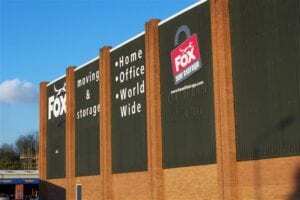 In either case, Fox Moving & Storage understands that it is not always feasible to store large, bulky furniture and possessions in-between moves, so we also offer our customers a self-storage service, keeping your possessions in a secure location that you have access to throughout the day until you are ready for us to deliver them to your new premises. Expert and efficient unpacking – Fox Moving & Storage can plan, prepare and deliver your items to your new Stourbridge premises, but we can also assemble workstations, desks, chairs and other furniture items, whilst unpacking all your company assets into the rooms of your choosing, saving you time to concentrate on running your business. Office clearances – Fox Moving & Storage not only moves your belongings to your new office – we can also completely clear your old premises, removing and disposing of any debris, waste and unwanted furniture. With sound environmental practices always at the forefront of our clearance service, we always ensure that items are recycled whenever possible. Re-marketing of goods – Whilst Fox Moving & Storage will always recycle items where possible, there are some items that can be re-used by other companies who are willing to pay for them. We will happily arrange for any company assets to be remarketed, allowing you to put the profit to one side for a rainy day, or to invest in furniture for your new office. Whether you are a home mover looking for a trusted, professional removals company in Stourbridge, or a commercial operation relocating to the West Midlands from elsewhere in the UK, then contact Fox Moving & Storage today and speak with one of our friendly sales staff to see how we can help make your move a smoother one.